Get Your Perfect Electric Plan in Flint, Texas! 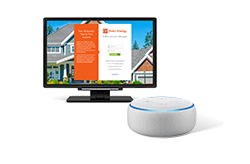 Find out why Direct Energy has already earned the trust of over four million home and business customers across the United States and Canada. Even though we're one of the largest residential energy retailers in North America, our headquarters are in Texas, making us one of your friendly neighborhood electric companies. We provide big-business know-how without giving up the commitment you'd expect from a small-town energy provider. You can finally understand the electricity you use! With our simple solutions, you can follow and control your electricity use. Direct Energy has an abundance of specialized offerings across the United States and Canada to support your energy needs. The perfect Flint energy plan is waiting for you! In the Lone Star State, there are so many things to do besides thinking about your electricity, like enjoying an afternoon at the zoo! Lock in competitive electricity rates from Direct Energy today! We offer excellent customer service and as your Flint electric company, we're here to help power your home and make life easier! Don't spend another cold Flint winter worrying about your electricity. Direct Energy has the products and prices that are right for your home and your budget. We offer a wide assortment of plans, from green energy to a fixed rate, where you can lock in price stability for the contract length that you choose. The perks that come with all of our plans extend beyond competitive electricity rates and superior customer service. Now that you've chosen your perfect plan, you can manage your energy usage, refer a friend, and more with our Online Account Manager. It is your all-access pass to managing your account. We provide knowledge and tools to help you make better energy decisions and save money on your electricity bills. Learn some cost-cutting tips about energy in Texas by visiting our Learning Center. Why not choose the company that offers the tools and technology to Use Less of What We Sell when you have the freedom to select your electricity provider? 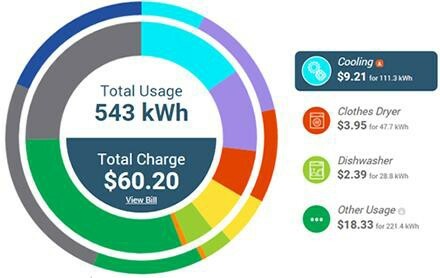 As a Direct Energy customer, you'll get access to a custom suite of energy insight tools, Direct Your Energy, to help you figure out and oversee your home's electricity costs. The Predictive Weather Overlay is a unique planning tool. It not only predicts weather conditions in the forecast, but estimates your future bill amount based on your historical usage measured against the predicted weather. Based on upcoming conditions and predictions, you can proactively adjust your usage to potentially lower costs. Copious tools are at your disposal! Just head to our Learning Center or blog. Understanding and managing your energy use and caring for your home are serious business. We have tips that range from green living and home improvement to storm preparedness. Are you trying to decide between Direct Energy and Green Mountain Energy? Learn more about the benefits of being a Direct Energy customer. Trust us to make the process simple, whether you need new service or you're switching Flint electricity providers. Looking for a plan with the stability of a fixed rate? 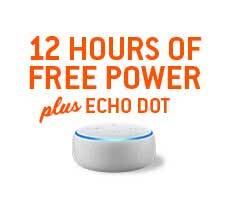 Or maybe you like the freedom of a connected home bundle. No matter what your ideal electricity plan looks like, we have the one for you. Any plan can be managed in our easy-to-use Online Account Manager. There, you can sign up for options like Paperless Billing and Auto Pay to make paying your bill stress-free. The same electricity plan is not the best for everyone, but all customers have some things they can count on - like fixed rates and great customer service! We empower you to make smarter, more informed choices with our energy insights tool, Direct Your Energy. Browse through our library of resources to increase your energy efficiency and save on your monthly bills. Unlike other electricity companies, we are committed to helping you spend less money on your electric bill. You could get a 10% discount on your next bill, simply by signing up for and participating in the Reduce Your Use Rewards program! 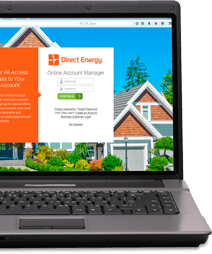 Sign up for Direct Energy today and start living smarter.